Senior students from the Berkeley Institute Virtual Enterprise International [VEI] business program competed against the Top VEI teams around the globe at the Virtual Enterprises 2018 Youth Business Summit held in New York City on April 16-18, 2018. VEI provides a real-life simulation of the business world for students interested in starting and operating a business. The in-school based program creates a business world environment in the classroom where students are the decision-makers in creating a viable business from start-up through operation. During the two -day summit, student teams competed and participated in the Global Business Challenge, Booth Competition, Elevator Pitch, Company Branding Competition and Video Commercial Competition. 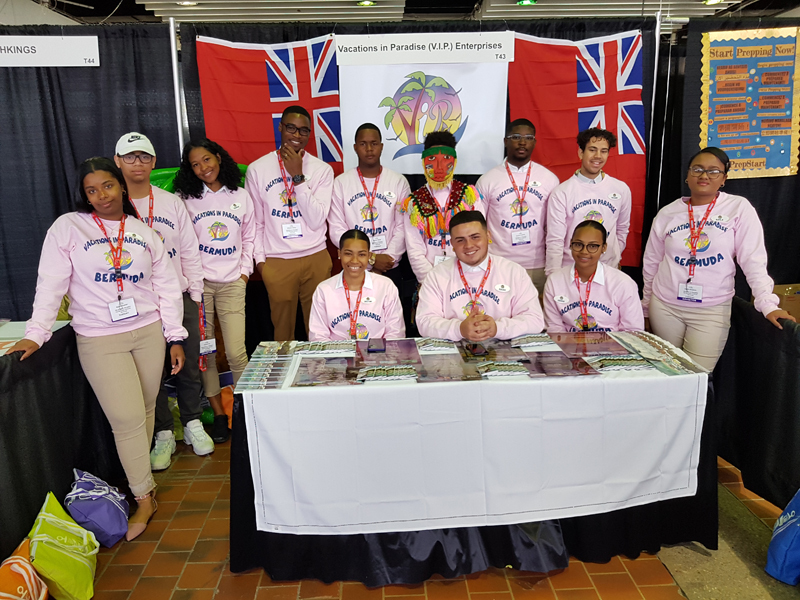 The summit also included a tradeshow in which the VEI students had a booth that displayed their virtual business “Vacations In Paradise” which was centered on vacation packages to Bermuda. The Vice President of Fundraising of Vacations In Paradise, senior student Kayla Simpson, helped her team to raise funds to reach her team’s fundraising goal for the program through in-school and community based fundraisers, corporate sponsorship and private and community donors for their educational trip to the 2018 VEI Summit in New York. 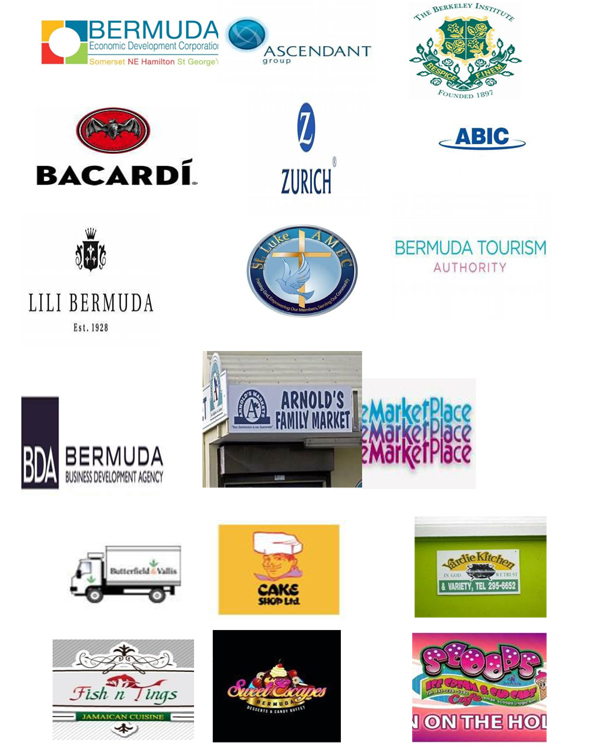 “On behalf of the Berkeley VEI Program we would like thank all our mentors from Bacardi, ABIC and KPMG who contributed their time, talents, and effort to supporting or VEI student professionals. “We would also like to extend or gratitude to our sponsors, community partners and members of the public for all their generosity, enthusiasm and heartfelt support of all the twenty-two Berkeley senior students enrolled in the VEI Program this year. 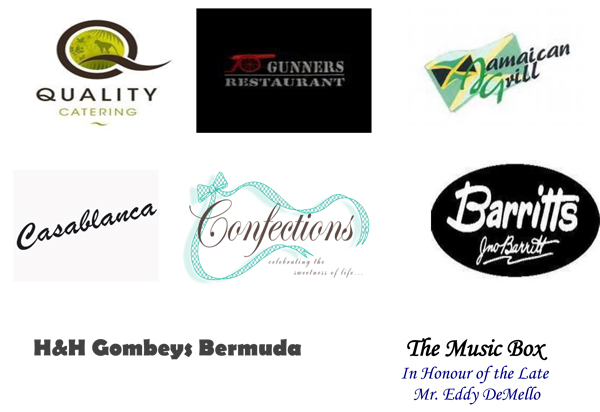 2018 Sponsors and Community Partners: BEDC, Ascendant Group, Berkeley Board of Governors, Berkeley Education Society, Berkeley PTA, Berkeley Students, Parents and Staff, Bacardi, Zurich Insurance Ltd., ABIC, Lili Bermuda, St. Luke AME Church, Bermuda Tourism Authority, Bermuda Business Development Agency, Arnold’s Family Market, MarketPlace Ltd., Butterfield& Vallis, Cake Shop, Yardie Kitchen, Fish N’ Things, Sweet Escapes, Scoops, Quality Catering, Gunners Restaurant, Jamaican Grill [Bailey’s Bay], Casablanca, Confetions, Barritts, H&H Gombeys Bermuda, and The Music Box in Honor of the late Eddy DeMello. 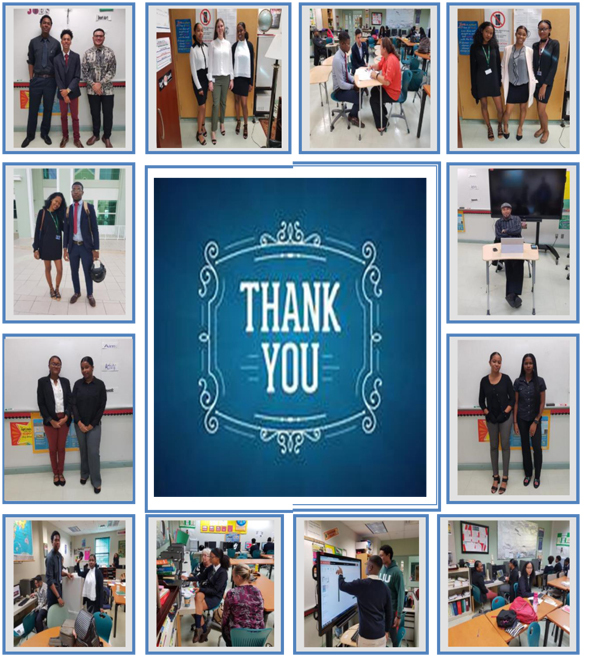 “I would also like to take this opportunity to extend a special thank you to the twelve VEI senior professionals and Deputy Principal Mr. Quincy Paynter for representing the Berkeley Institute and Bermuda proudly with their participation at the 2018 Youth Business Summit”, said Dawn Nichols Marshall, VEI Facilitator at Berkeley Institute.